KINTYRE: Highlights on the ABC trip to the Sound of Gigha today included – a Little Egret, a Sandwich Tern, 3 Long-tailed Ducks, 20+ Common Scoter, 8 Slavonian Grebes, 4 Purple Sandpipers, a Wheatear, 2 Bar-tailed Godwits – a total of 66 species. Also a Greenshank nr Kennacraig (Jim Dickson). 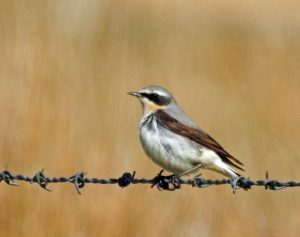 At Carradale – Alasdair Paterson reports – a Magpie robbing Collared Dove’s nest in our neighbour’s garden this morning, three groups of Whooper Swans totaling 44 birds flying NE and 37 Goldfinch plus 50+ Siskins 50+ nyger seed feeders in the garden. 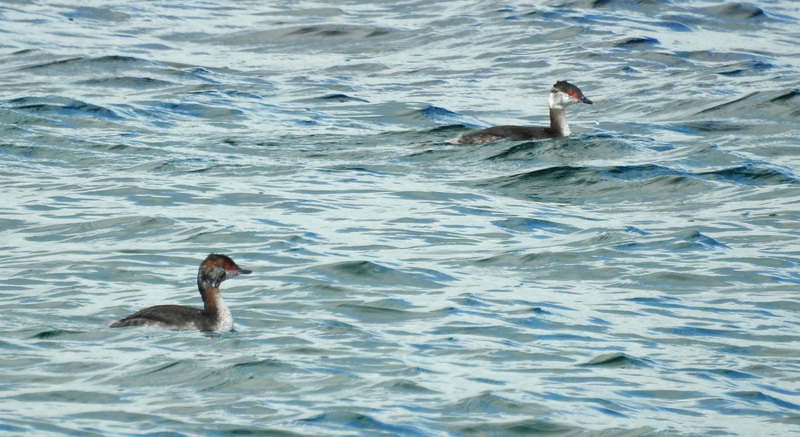 MID-ARGYLL: David Jardine reports that the Loch Feorlin Pied-billed Grebe is back. 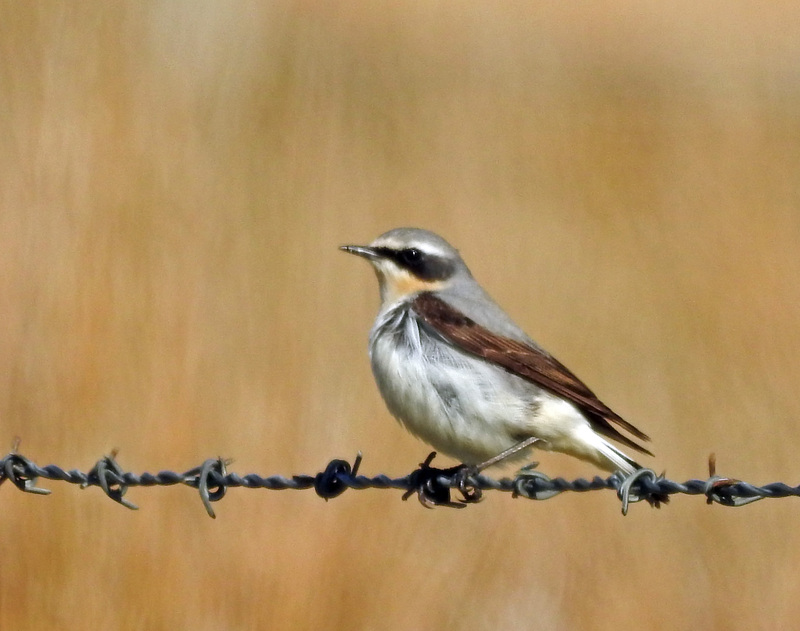 Wheatear – Tayinloan 24th Mar (Jim Dickson). 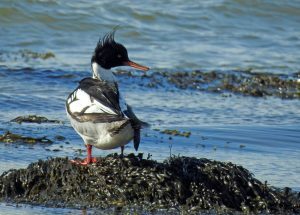 Red-breasted Merganser – Tayinloan 24th Mar (Jim Dickson). 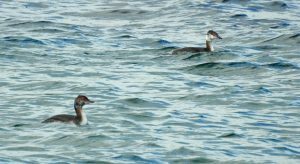 Slavonian Grebes – Sound of Gigha 24th Mar (Jim Dickson).